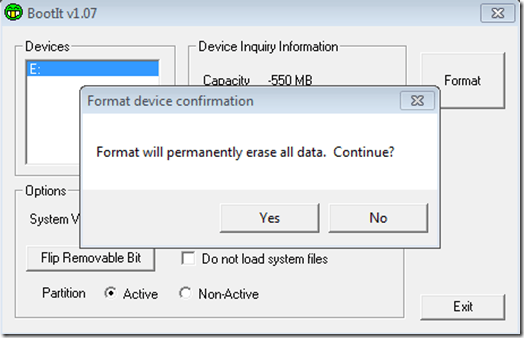 Is Windows detecting your USB flash drive as the wrong capacity? For example, a 16GB flash drive showing up as only a couple hundred MBs in Windows? This can happen for several reasons. Most of the time, the recent formatting of a USB flash drive, on another computer, can cause USB flash drives to display incorrect capacities on other computers. For example, if you have previously used a flash drive with a Mac computer, and formatted the drive to OS X Extended, and now reformatted the USB flash drive back to Windows FAT32, sometimes it will display incorrectly. Although this is not always the case, reformatting the USB flash drive from the original formatting is the most likely culprit. Formatting, whether it be a hard drive, flash drive, etc., is never a fun process. However, there is one app that makes restoring your USB flash drive to full capacity easier than ever. Before getting started, do this quick check. Open the start menu, right click on Computer, and select Manage from the drop down menu. This should open up the Windows Computer Management pane. Click the listing Disk Management, located along the left side of the window. 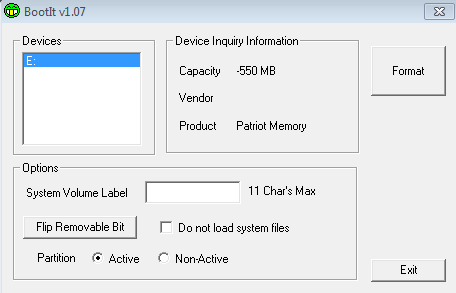 Assuming that you have your flash drive plugged into an available USB port on your computer, you should see it in the main section of the Computer Management window. 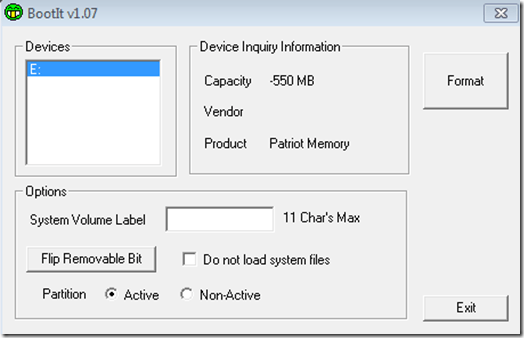 Go ahead and click to select, and details should show up below about your USB flash drive. For example, in the screenshot below, you can see that the USB flash drive is showing up as Disk 1 – USB Drive (E:). Now, understand that this flash drive is showing up correctly. It has already been brought back to full capacity. Your USB drive however, may display as two partitions, or something similar. The first partition, which Windows recognizes, may say something like 500MB. The second partition, which Windows does not recognize, may say something like 7 GB. That is why the flash drive is not showing full capacity. The problem is, Window’s built-in USB formatting capabilities (right-click on your flash drive, select format), are a little to basic and do not always pick up on the full capacity of a hard drive that has been reformatted several times. Thus, you need to do a full USB drive wipe, and get the drive cleaned up, and partitioned as one whole, so that Windows recognizes the full capacity. From there, you can repartition it, if you so choose. To do this, head on over to Pen Drive Apps and look for an app called Boot-It. 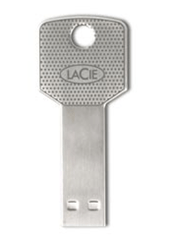 Boot-it is a cool, lightweight application developed by USB flash drive manufacturer Lexar. Now, this is not guaranteed to work on all flash drives, given that it’s a Lexar utility. However, chances are high that it will work. For example, I tested this on a cheap Patriot Memory USB drive and it worked like a charm. Once downloaded, you should not have to install Boot-It. Simply click the icon and it should launch. Make sure that your USB flash drive is inserted into an available USB port on your PC. Also, make sure that you have anything backed up, as this utility will completely destroy everything on the drive, and restore full capacity. After you are good to go, assure that the correct device is selected in the Boot-it devices window. In the below screenshot, the device is E:. 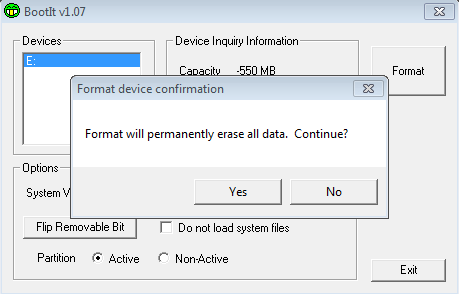 Click the Format button, click Yes on the next screen, and say goodbye to any or all data on the flash drive. Please note, Boot-it will display a prompt, telling you that format will continue after the USB drive is reinserted. When you see this screen, unplug your USB flash drive from the computer, wait a couple of seconds, and plug back in. From there, Boot-it should completely reformat your USB drive back to factory settings. Thus, Windows will now detect the USB drive as full capacity!